Arm yourself with confidence with a CURT Fusion ball mount. 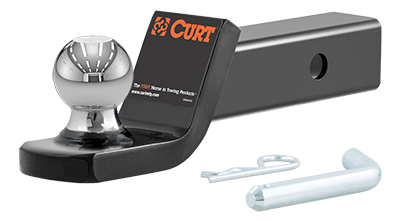 Much like our loaded ball mounts, CURT Fusion ball mounts come with a trailer ball pre-attached to the mounting platform and provide a ready-to-tow solution right out the package. Unlike a loaded ball mount, however, a Fusion ball mount features a trailer ball that is permanently fixed to the shank structure, making them stronger than traditional non-welded ball mounts.